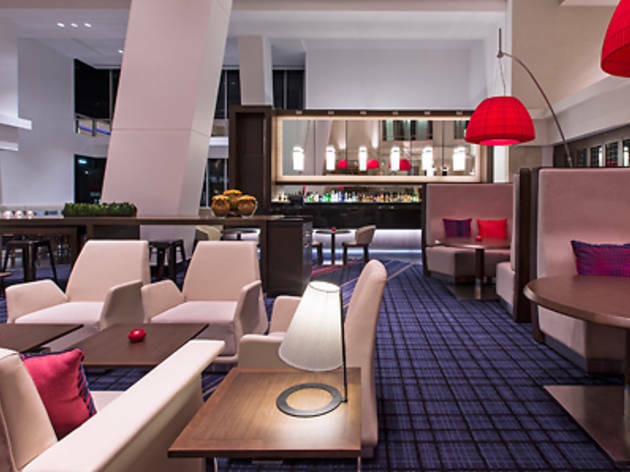 The highly anticipated second stage of renovations are complete at the Swissôtel and this includes a complete makeover of the Crossroads Bar. It's a re-introduction to the classic hotel bar where traditional ideas, impeccable service and modern designs meet. Intimate pods provide exclusive entertaining spaces plus floor to ceiling windows allow natural light to flood the area whilst looking over a vibrant Market Street. Crossroads Bar is the perfect location for a leisurely high tea, a quiet bite to eat or when you have more time, a few cocktails. Try the signature 'Swiss in the City', Swissôtel's take on the classic Cosmopolitan. Also located in the hotel is Jpb, a restaurant that offers fresh and simple, yet innovative modern cuisine. 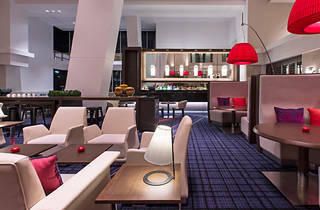 So if you're looking for a place to meet up for a quiet drink, a cocktail or few, or a nice meal then head to Crossroads Bar at Swissôtel Sydney. And if you drop in on a Monday, Tuesday or Wednesday between 5pm and 6pm you get 50% off all beverages. Happy hour indeed!